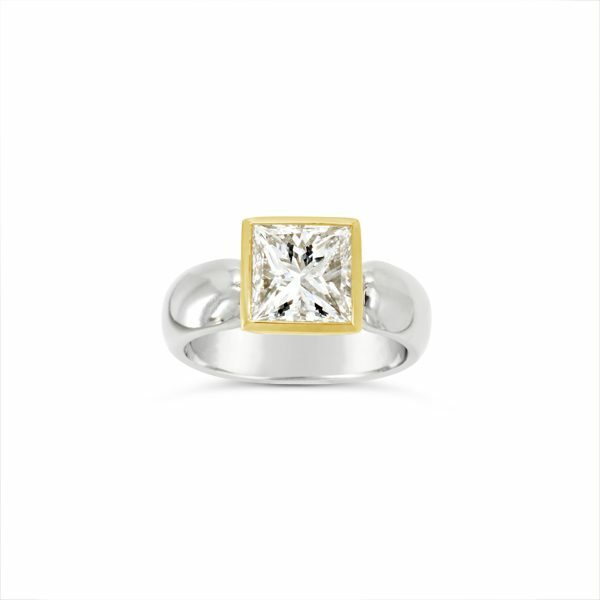 A handmade platinum engagement 6mm court shanked ring with rounded ends set with a 2.04ct Evs2 GIA certified princess cut diamond measuring almost 7mm across. 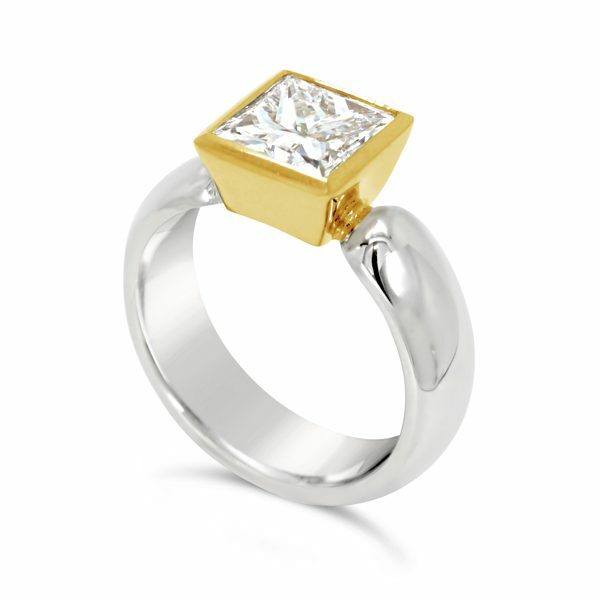 It is set in a contemporary 18ct yellow gold rubover setting enhancing the size of the diamond to a final spread of 8.5mm in the setting. 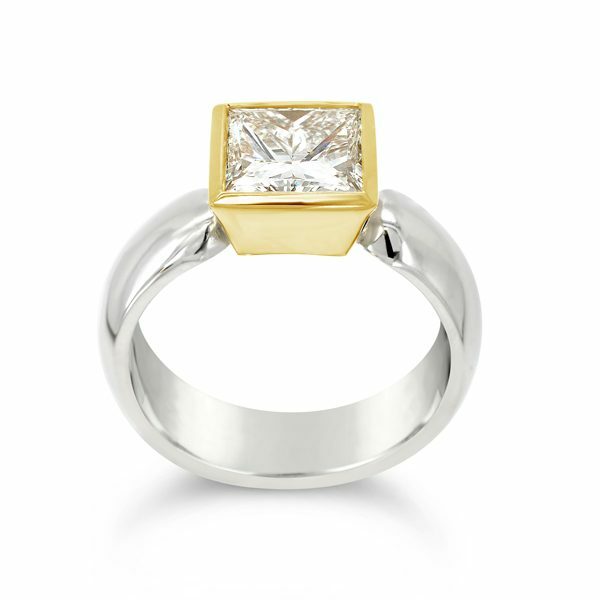 Made especially for you in our jewellers workshop on the crossroads in Ditchling, East Sussex.